A lot of buzz doing the rounds about Tollywood’s cutest and much-popular couple, Naga Chaitanya Akkineni and Samantha Ruth Prabhu’s forthcoming wedding, isn t it? The excitement around Chay and Sam’s wedding is increasing with each passing day. The actors, who have been dating for a few years now, have impressed us already with their love story. Now, Samantha’s recent post will impress you all the more. 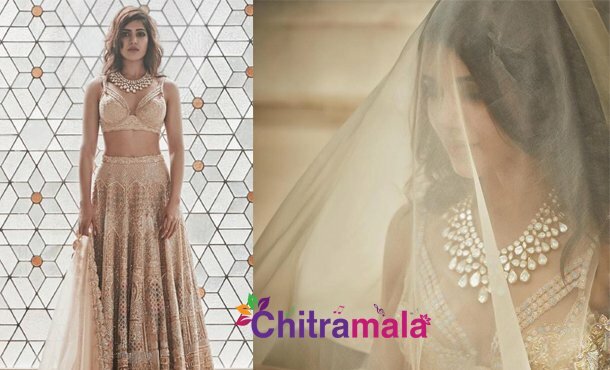 Yes, the couple Sam and Chay, who is all set to tie the knot this October, have started the preparations for the wedding and Samantha took to her Instagram handle to post a picture of her wedding lehenga; the picture will leave you speechless. Samantha’s wedding ensemble will be designed by Kresha Bajaj under her love story lehenga catalog by Koecsh. She took to her social media account to share the pictures of Kresha’s latest creation. On the work front, both the actors are busy with multiple films.